Dell has officially unveiled its newest tablet device, the Dell Streak 7, a 7-inch inch Android powered tablet that is the company’s first 4G tablet that will run on T-Mobile’s 4G (HSPA+) networks. The announcement makes the rumours we reported on official, succeeding Dell’s 5-inch Streak device. 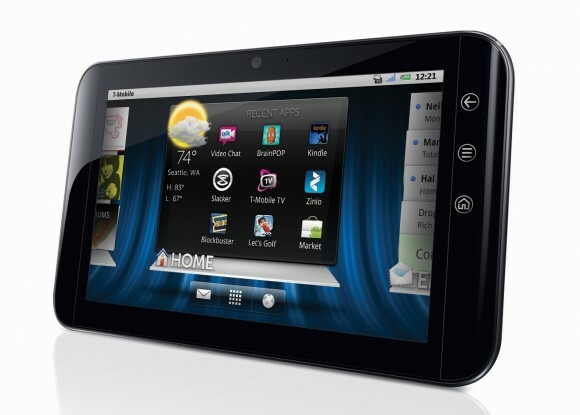 Launching in the USA in “the coming weeks”, the Streak 7 is powered by Nvidia’s dual-core 1GHz Tegra 2 processor, running Android 2.2 (Froyo), shipping with a toughened WVGA Gorilla Glass screen, Bluetooth 2.1, with the ability to store 16GB of data on its internal memory and support for an additional 32GB. The mobile operator announced it had upgraded its HSPA+ network to deliver 42 Mbps data transfer bandwidth, allowing users to download music and films on their Streak 7 as well as applications available on the Android Market in super-quick time. It’s only a matter of time until Dell’s new tablet drops, expect more information as it becomes available.